I made some frankens with holo glitter powder! If you are interested in buying, shoot me an email and I will get you in touch with the person that I bought mine from. The first one I made was with OPI Ink. 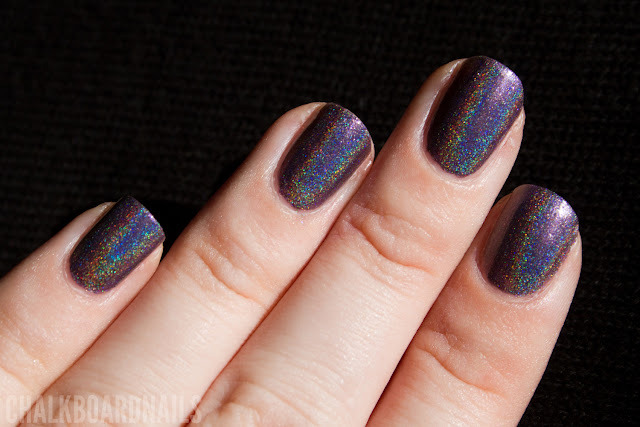 This is a popular shade to use for holo frankens, and I know a few other ladies made the same one. Can you blame them? 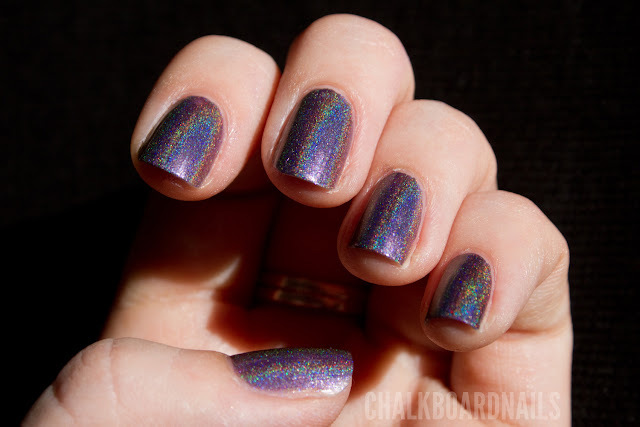 This was definitely my most visible holo of the bunch. The second franken that I made used China Glaze Street Chic. I love that shade of brown and wanted to see how it would turn out holo-ed. The holo in this was much less intense than the OPI Ink franken, but it's very subtle and pretty. 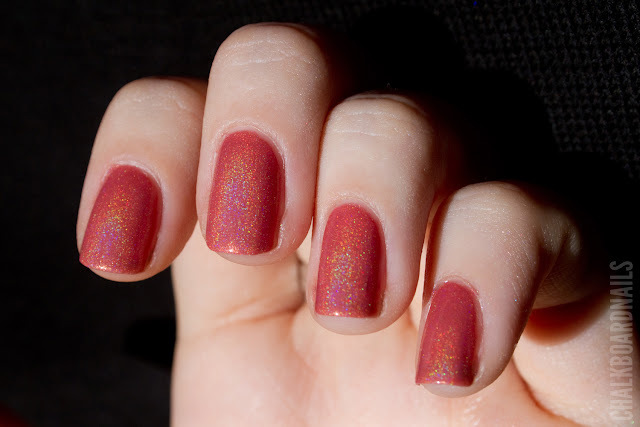 The third one I made was with Sinful Colors Boogie Nights. This is my favorite out of the three and because of that, I bust out my super awesome macro lens so you guys could check out a close up. Those are all great. The China Glaze Street Chic is my favorite. I LOVE YOU TOO!!!!!!!!!!!!!!!!!!!!!!!!!! All three of these turned out beautiful!!!! <3 Great job! They look absolutely awesome, I cannot wait to get mine!! Lori is da bomb!! I bought some of that powder to add to just clear topcoat, so I can bling out any color without changing the original! Cant wait to try it! Love the Street Chic one! Hi! I would love to try this however it looks like the blog is gone or at least that particular post. Any help would be appreciative. 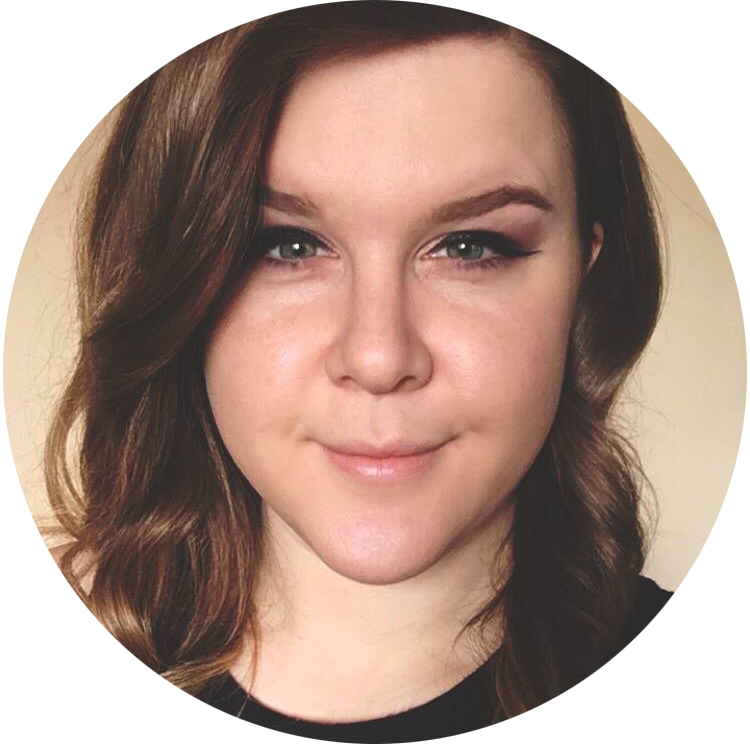 Thanks ... just found your blog & I love it! 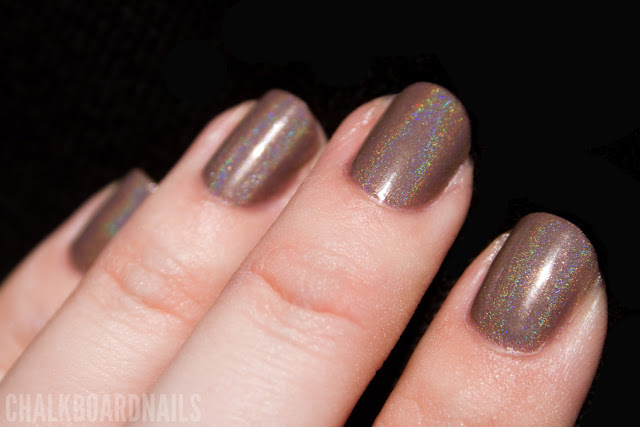 Love your taupe holo franken.